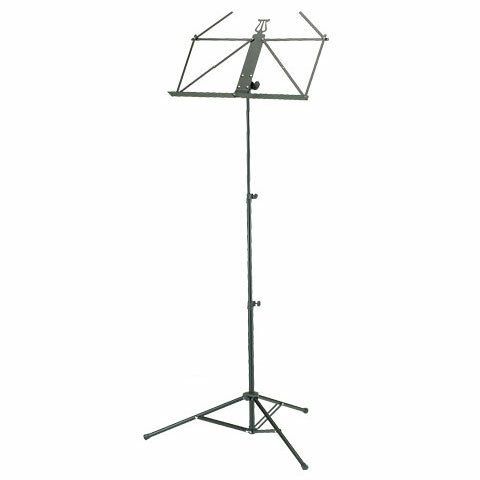 The Ruka 37850 music stand is a real lightweight and is marketed by König & Meyer. With its approximately 600 grams, it is the perfect companion for instrumental lessons, rehearsal or, of course, for at home. The stand has a size of 46.5 x 23 cm. The height can be adjusted continuously from 51 - 124 cm. The sturdy arch construction ensures a secure stand. Even on smooth floor surfaces, a safe stance is ensured with the parquet protecting feet. It is small and handy for transportation. An excellent music stand: just what I want. Thanks. This item was given an average rating of 5 out of 5 stars. 1 review has been written. The comments are not the opinion of Musik Produktiv, they are the subjective opinions of our customers. 1 rating exist without a text or the review is written in another language. · Show all articles of the brand Ruka.